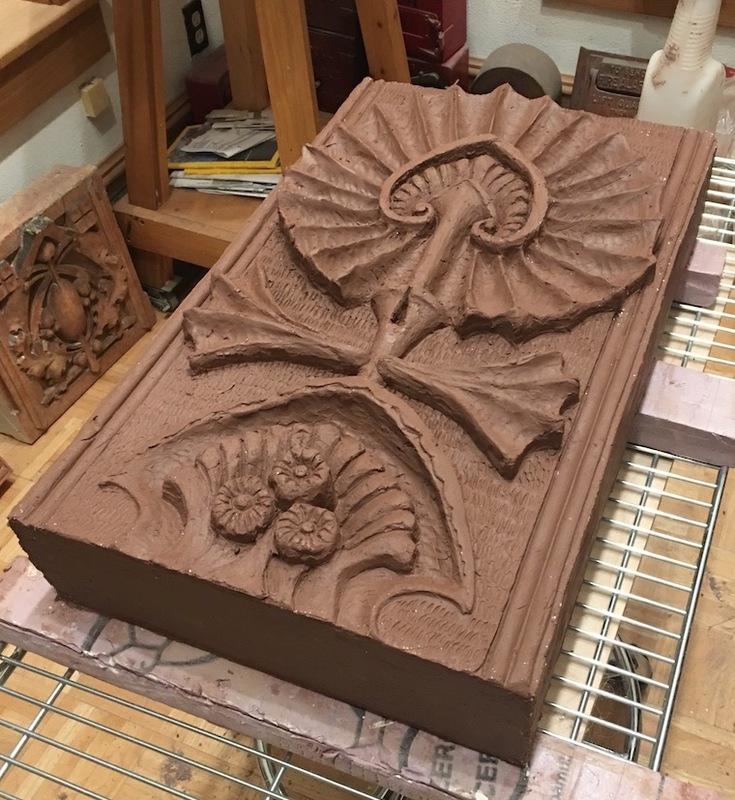 I pressed the first LS2 panel today, it took 60 pounds of clay, the sculpture will need to firm up a little and dry a little before I can finish cleaning up and refining the surface details. It takes about 2- 3 weeks of slow, careful drying of pressed clay sculptures of this size before they can be kiln fired. The firing process in an electric kiln takes approximately 36 hours and the high quality clay I use is fired to what is known as “Cone 1”- about 2,100 degrees F which vitrifies it nicely to become harder and less porous than standard hard bricks are. Once the sculpture was removed from the plaster mold as shown, I have to spend considerable time going over every milimeter of the surface to model-in any missing details, sharpen edges, eliminate any surface defects, mold seams etc. Each is a signed, numbered and dated work of art.